MyTana is a factory direct company that provides professional plumbers with high grade drain cleaning equipment and parts. The drain sewer jetters are used to help unclog drains by use of high pressure and water to bring a drain sewer line back to brand new. There are so many companies out there that claim to provide plumbers with the best but MyTana has been in the drain cleaning business since 1957 and their products are well respected and well made. 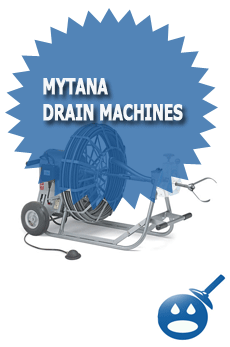 You won’t find a better selection of Drain Sewer Jetters than MyTana. MyTana offers 5 terrific jetters, The MinBlast, The FastBlast, The MaxBlast, The MV80 and the MS80. These Drain Sewer Jetters work great on tough clogs such as grease, hard soap, food clogs and soft obstructions such as hair and paper products. You start out the machine and you can add extra parts like cables, blades, hoses and nozzles and other necessary accessories. 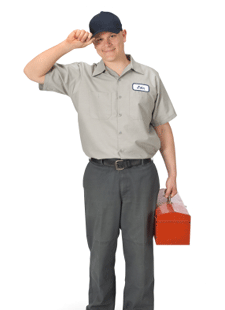 Let’s take a look at what each MyTana Drain Sewer Jetter can offer you. Each jetter works with different size lines and each one is more powerful than the next. If you are starting out in the drain cleaning business or you are a seasoned professional looking for a better way, then look no further than the MyTana Drain Sewer Jetters. The Minblast Drain Sewer system is a power machine. It is designed to cut through the toughest soft obstructions such as grease, soap, hair and some food. The unit is rated at 2+GPM set at 1200 PSI. The MinBlast offers a 15-amperage circuit power that uses a 1-1/2 horsepower motor. This drain sewer jetter was designed to clean 1-1/2″ drain lines. The jetter uses 30W viscosity pump oil. The Minblast comes with a pulse abler, a GFCI protection on the cord set, a pressure gauge to monitor the machine while it is in use. Plus it has a thermal protection on both the motor and the pump. This will protect the pump from overheating. On this unit, it includes a jetter hose, a penetrating nozzle and a concerning nozzle. MyTana is also all about safety so; the Minblast comes with safety goggles, gloves and a tip cleaner for easy maintenance. These machines are not cheap, they are well made and they are worth every penny. The Minblast is priced out as $1,499.00 as a starting price. The Fastblast Drain Sewer Jetter is a great product to have if you are a professional or beginner drain cleaner. This unit or Model M20 is rated at 2 gpm at 1500 psi, a bit stronger than the Minblast Drain Sewer Jetter. The unit is rated for 20 amps and it is capable of cleaning drain lines of 1-1/2″ to 4″. The unit is perfect for getting rid of tough grease, food particles and hard soap. The Fastblast uses a 30W viscosity, non-detergent industrial pump oil. The FastBlast Drain Sewer Jetter has some great features; it has a thermal protection that covers the motor and the pump. It has 10″ pneumatic tires and a stair glider. The jetter has a pulse abler and a GFCI on the cord set plus a pressure gauge. Since the unit is so big, it has a transportation cart and a removable reel. This feature comes in handy when the site of the clog is a lot further away than the truck. You will get a 1/8″ x 50 foot jetter hose, a 1/8″ penetrating nozzle, a cornering nozzle and a 1/4″ x 115 foot jetter hose. Plus, you get safety equipment such as gloves to protect your hands and safety goggles and tip cleaners to help maintain your machine. The cost of the FastBlast Drain Sewer Jetter is around $2,549.00. The MaxBlast Drain Sewer Jetter is a mainline jetter that was designed to clean drain lines from 1-1/2″ to 6″. 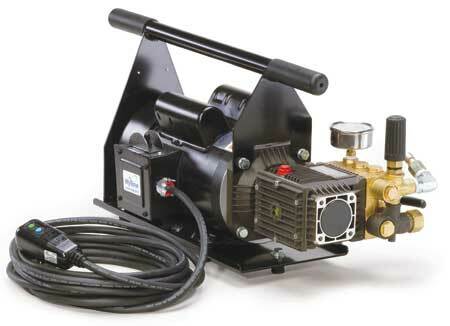 The removable hose reel is perfect for remote jetting locations. When you order the MaxBlast, you are getting equipment that is rated at 4-1/2+ GPM at 3,000 PSI. It uses a 13 horsepower Honda Motor, one of the best motors in the industry. This machine is equipped with a new automatic throttle down control and it uses a 30W viscosity, non-detergent industrial pump oil. The MaxBlast offers a pulse abler, an EZ start by pass and a pressure gauge so you can monitor whether the unit may overheat. The jetter has automatic low oil shut off to protect the jetter from seizing. You will also receive a 3/8″ x 200-foot jetter hose, penetrating nozzles, concerning nozzles and a blind thrust nozzle. You will also get a washer wand, a reel stand. A jumper hose, goggles, gloves and tip cleaners. The standard price on these jetters is $4,399.00. The MV80 Drain Sewer Jetter is a portable jetter machine that has a trailer jet power that can clean drain sewer lines from 3″ to 10″. This machine is rated at 8 gallons per minute at 3,000 PSI. It is powered by a 24 horsepower Honda Motor. The MV80 uses a 30W viscosity, non-detergent industrial pump oil. The MV80 uses a pulse abler and 11″ tires. 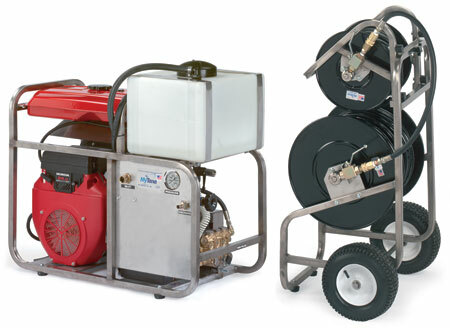 The MV80 Drain Sewer Jetter machine uses a 12-gallon float tank and a UDOR super duty triplex pump. The MV80 is extremely durable and sturdy. The frame on the MV80 is made from a high-grade stainless steel. 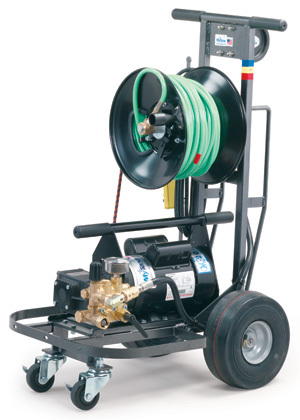 The Drain Sewer Jeter comes with a heavy-duty transport cart that has both large and small hose reels. 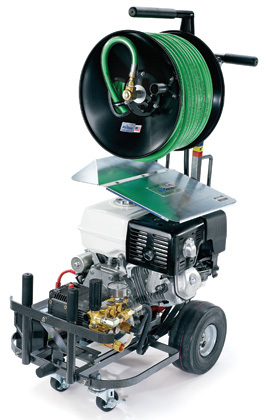 The MV80 comes with a standard 3/8″ x 250-foot jetter hose, a penetrating nozzle and a cornering nozzle. The MV80 comes with a Jumper Hose, Safety Goggles, Gloves and a Tip Cleaner. These units are high powered and can really break through just about any clog in its path. The price on these units starts at $7,799.00. The MS80 Jetter is a Skid Mounted mainline jetter that is designed to clean out drain lines from 3″ to 10″. It is rated with an 8 gallons per minute at 3,000 PSI. It is equipped with a 24 horsepower Honda motor and it uses 30W viscosity. The MS80 is equipped with a pulse abler and a 12-gallon float tank. It has a UDOR super duty triplex pump. The MS80 comes with a heavy-duty transport cart with large and small hose reels. 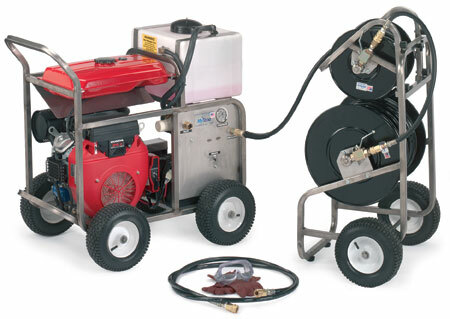 The MS80 comes with 3/8″ x 250′ jetter hose, which is the standard size. The unit comes with a blind thrust nozzle and for safety you will find a Jumper Hose, Safety Goggles, Safety Gloves and a Tip Cleaner for easy maintenance. The price on the MS80 is around $7,499.00. All of these MyTana Drain Sewer Models are capable of taking care of any clog that needs to be cleaned. These units are great to use if you are just performing a monthly maintenance on the lines so you can avoid tough clogs down the line. Each of these jetters is stronger than the next. So depending on your application, you can choose from one of the 5 Drain Sewer Jetters. Using MyTana Machines is the smart choice. I have a maxblast jetter and the 661 cable machine. 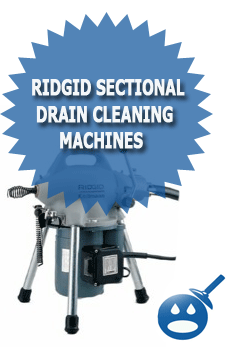 They both work great and I would recommend them to anyone that’s looking at purchasing drain cleaning equipment. I also have a hot box water heater to use with the maxblast for thawing. It works very well on grease with the hot water too. The jetter and cable machine are both very user friendly, quick to setup and work great everytime I use them. A+ Mytana, keep up the good work! I am chasing prices for new jetter heads for jetter I have purchased. 27 hp. 3/8 hose and 6.3gpm.